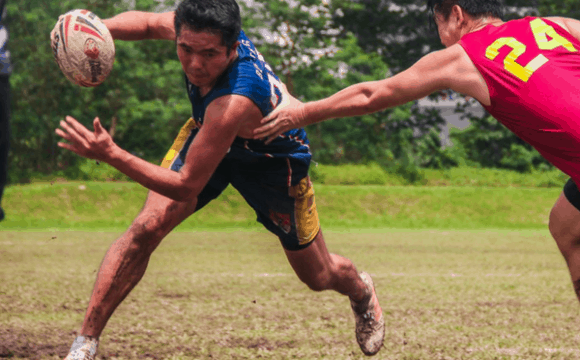 Ben played rugby throughout school and university when he lived in Scotland and transitioned to playing Touch after returning to Asia almost 20 years ago. He played Touch competitively with the Wanderers in the early 2000s and represented Singapore in the 2003 Touch World Cup in the Mixed Open category. Despite injury set backs over the years, Ben continues to return to playing Touch competitively and enjoys contributing to the sport in a development and coaching capacity. Over the past two years, he has played and supported the development of Touch at Bucks Touch and he is currently training with the preliminary Men’s Over 30s squad in preparation for the 2019 Touch World Cup. CQ is one of our highly experienced Touch football coaches. He has been playing touch for 10 years, competing in both local and overseas tournaments. He has competed in Hong Kong, Shanghai, Bangkok, Perth, and several leagues in Singapore. Memorable Touch achievements include being champion for Country of Origin in 2017 (Singapore), being selected to play for Singapore All Stars team for 2 consecutive years, and representing Monsoon Touch in WA State Champs in Australia. CQ has been coaching Monsoon Club and teams in university for 4 years. He values team spirit, positive attitude and good sportsmanship and emphasises these in his coaching sessions. He focuses not only on how to develop the team as a whole, but also on individual skills and character; understanding each player and tapping into their potential. Playing team sport is not just about the end goal but also about enjoying the process of learning and growing as a team. His coaching philosophy is “Focus on excellence and success will follow”. Ethan has been playing touch for 6 seasons, competing in tournaments and leagues across China, South Africa, Singapore, and Malaysia. He’s played in Men’s A, B, and C divisions as well as Mixed A and B, and has been coaching fellow and younger peers at OFS. His biggest Touch achievement was representing Singapore against the Olympic Fijian rugby team back in late 2016. Ethan’s approach to coaching is to teach in an understandable manner. He says, “I feel that today a lot of content taught throughout sports and lessons in the classroom are lost because they are not properly explained and justified as to why certain things are being taught. This has helped me develop my personal coaching philosophy of, ‘Prioritising development, not content covered'”.